According to The Pulse Of Radio, Chicago Cubs fans buying tickets for the team's July 6 game at Wrigley Field against the Cincinnati Reds will get a special bonus with their seats: a seven-inch vinyl single from PEARL JAM frontman Eddie Vedder. The A-side of the single, released through Jack White's Third Man Records, will feature "All The Way", which Illinois native Vedder wrote about the Cubs, while the B-side will have a 1984 performance of Steve Goodman's Cubs anthem "Go, Cubs, Go". 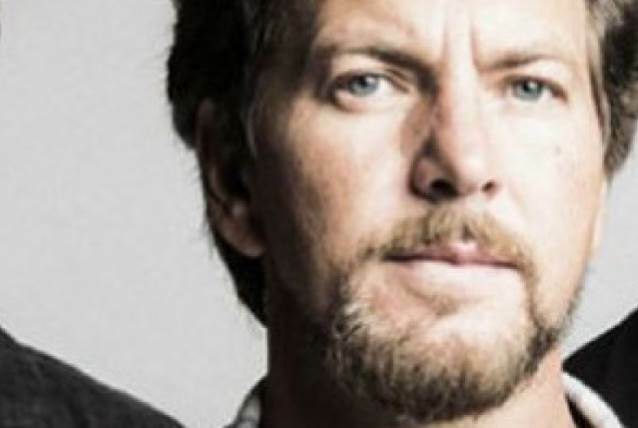 Vedder is a longtime, diehard Cubs fan who appeared with players Kris Bryant and Anthony Rizzo in an Major League Baseball commercial last year while performing a new jingle. Vedder's single will be the second baseball-related release from Third Man, which issued a single for White's hometown Detroit Tigers last year.